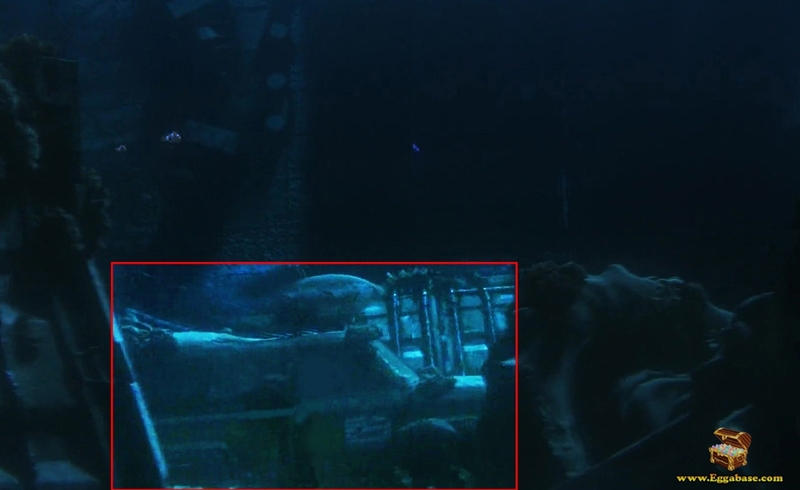 When Dory, Nemo and Marlin are swimming through the underwater scrap yard you can catch a quick glance of the famous Pizza Planet Truck from Toy Story. 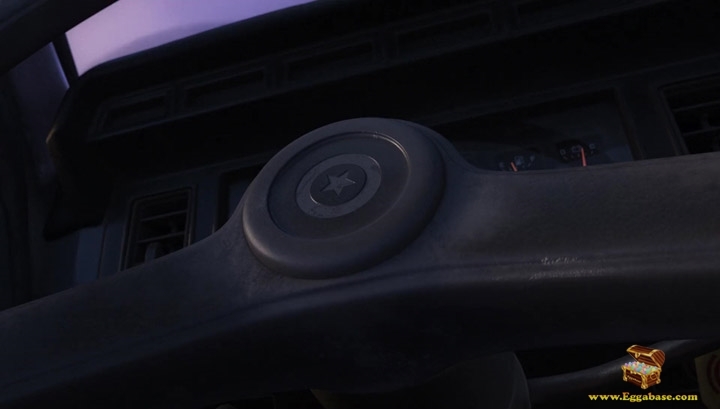 The Luxo Ball appears very briefly when Hank is stealing the truck full of fish. 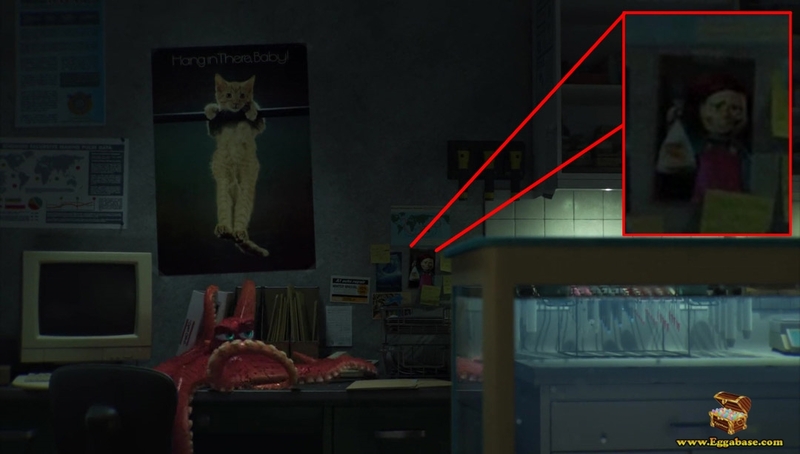 A picture of Darla Sherman, the densits niece from Finding Nemo can be seen hanging in the Quarantine office. 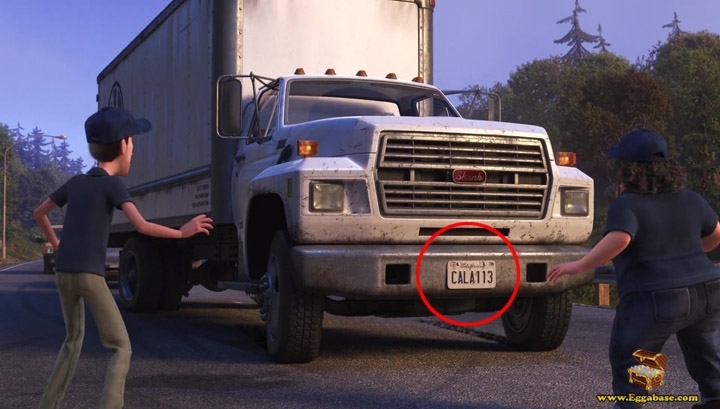 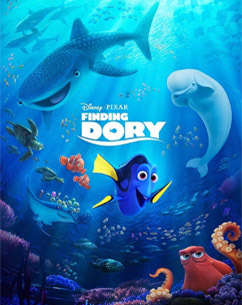 The famous recurring media easter egg, “A113” appears multiple times throughout the movie as a pair of sea lion tags and license plates.